[card attached to back]: The White House. 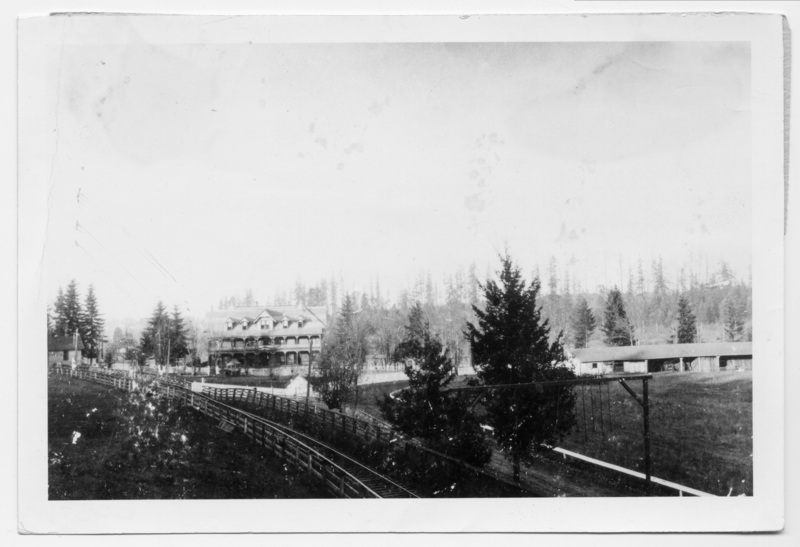 This shows the race track and narrow-gauge track. The only picture of it I was ever able to locate outside of the steel engraving from West Shore. Mary R. [contemporary note]: 165-Portland, misc. Description The White House burned down in 1904. Negative with photo; negative envelope says: Wht House; Film. Transcription [card attached to back]: The White House. This shows the race track and narrow-gauge track. The only picture of it I was ever able to locate outside of the steel engraving from West Shore. Mary R. [contemporary note]: 165-Portland, misc. Physical Description H 4" X L 6"